LendingCrowd has entered into a ground-breaking initiative with the investment arm of Scottish Enterprise, Scottish Investment Bank (SIB), which sees almost £3 million worth of additional investment being made available across our peer-to-peer (P2P) lending platform. It’s aimed at funding the growth of Scotland’s most exciting SMEs. In the first initiative of its kind in Scotland, SIB will invest alongside private sector investors. This will be lent to qualifying Scottish companies. SMEs can often struggle to secure finance via traditional lending methods, despite their potential to make a strong contribution to the Scottish economy. This exciting initiative uses a new and growing innovative source of alternative finance to increase the supply of funding to Scottish SMEs. Together we can bring real benefits to the Scottish economy. You have to have been trading for a minimum two years. A limited company or a limited liability partnership can borrow from £5,000 to £500,000. A sole trader or partnership can borrow from £25,001 to £500,000. Are you a Scottish-based business looking for funding? Find out if you’re eligible for a business loan in 60 seconds. You can carry out an eligibility check in 60 seconds and apply in 30 minutes. We make a decision on your loan within 48 hours. Once your loan is approved and funded you’ll have it within five working days. Our fees are transparent and there are no penalties for early repayment. You also have direct access to our credit team, so you’ll have an expert on hand to answer your questions. For a better loan you need to think outside the bank. 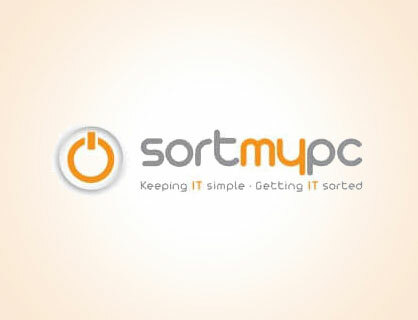 SortMyPC needed funds to complete an acquisition to help them grow. Their MD loved the flexibility of our financing and also the personal touch from our Credit Team. The company reached its loan target of £73,000 and the funding they secured allowed them to continue to successfully grow the business. The most frequently asked questions by our loyal borrowers. Download our borrower guide and learn more about borrowing with LendingCrowd. or call us on 0345 564 1600 and we’ll be happy to help.